Reliance Jio has really been blowing up lately and understandably so. The company recently announced its plans to offer really competitive tariff plans in India, generally priced lower than the competition. Reliance's main concept seems to be to provide most basic services like voice calls and SMS, essentially for free and pamper users with additional bonuses, like a slew of smart apps, while only requiring payments for data. On the surface, this sounds like a great approach to take the ever-expanding India market by storm and for most users, this might turn out to be a hundred percent true. However, there are a few specifics we feel you must know in order to avoid an abrupt debarking off the hype train. First of all, let's cover the basics. When we said Reliance Jio is launching a data-first 4G service, this is actually a quite literal description. The company's network only offers LTE service. That means that no fallbacks are present to 3G or 2G, eliminating the possibility to natively use an older device. Voice calls within the network will be done through VoLTE (which must be present on both sides of the conversation, otherwise additional charges do apply) and when you combine the aforementioned two conditions, you can quickly get an idea as to why there has been such a fuss about supported devices lately. Now, we definitely see why finding if your current handset is supported is a major concern and we wish that there was an easy list or method we could quote. However, there are also a few other factors, like TDD and FDD LTE technologies and LTE Bands that come into play. From what we can gather, Reliance is keeping things as broad as possible, by using 1800 MHz, but the info is unclear on this point as well. That being said, there are at least a few devices that we can already confirm will work on the network with some certainty. Of course, the list also includes the company's own LYF branded devices. 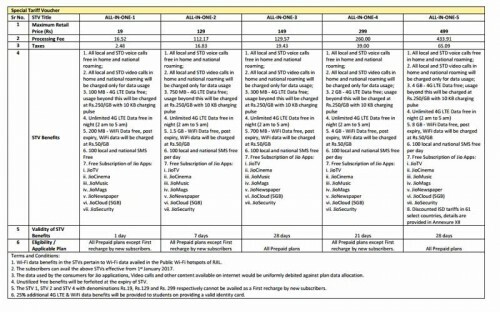 Then there is the lengthier still list of partnering devices that had access to Reliance's Preview offer. Chances are that these meet the requirements for the main service as well, although we can't give any guarantees. Reliance seems to be offering a few workarounds to compatibility issue as well, although we are yet to receive any word on how well they perform. There is the JioFi (INR 1,999)– a 4G hotspot device that can connect to up to 10 devices over Wi-Fi and an additional one through USB and relay the service. Besides getting one of the devices on the first list, the best thing to do to guarantee compatibility seems to be to look for a Reliance Jio partner device deal on Flipkat. That way you also get the card. And if you are not in the market for a new smartphone and just want to get one of the company's pre-paid or post-paid plans, you can surely do that. But, there are a few other things to consider as well. You can get a SIM card from a Reliance Digital Store or Digital Xpress Mini store and it should be a fairly simple process. You have to bring in personal documentation to submit, as well as a photo. Users are reporting Reliance is picky about the latter and it needs to be really recent. Also, arm yourself with some patience, as queues are likely to form. After you get the card, you are just left with a simple verification process via SMS. Now, for the main course – the tantalizing prices and what they can buy you. Reliance Jio has announced a slew of both pre-paid and post-paid plans. Naturally, they offer different packages, but all seem to share the benefits of free voice calls. Reliance has made a big deal of this, stating that voice will remain free with no roaming charges in India as well, as long as you are a customer. Most plans also offer some text messages for free and free Wi-Fi data. The latter is only applicable through one of the company's own public hotspots and requires a log-in. As for the messages, as well as Wi-Fi and network data, they tends to have a different period of validity, as well as amount, depending on you plan. So, be sure to read the conditions carefully. 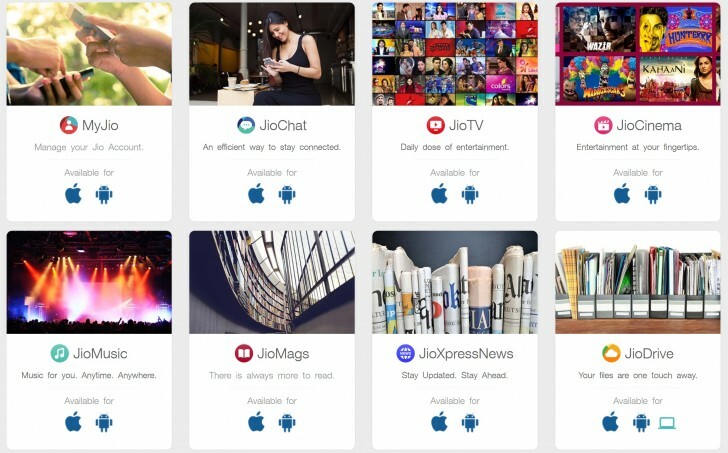 The same goes for access to Reliance's suite of smart apps, including JioPlay, JioOnDemand, JioBeats, JioMags, JioXpressNews, JioDrive, JioSecurity and JioMoney. However, the thing that has most people excited are the insanely low prices on data, specifically the pre-paid 4G plans that start at INR 19 and go up to INR 4,999, as well as the postpaid plans from INR 149. We already mentioned the validity concerns that you can also check out in the two nifty pricing tables. There are a few other fine print things to mention as well. If you are planning on using the service on the cheap and going for a low-end pre-paid pack, Reliance says the INR 19, INR 129 or INR 299 vouchers can't be used as a first re-charge by new customers. Also, the former two only have a validity of a day, so they are not exactly practical for a monthly solution. Another thing standing in the way of using such a SIM as a low-cost data-only plan is the condition that you have to make voice or video calls at least once every 90 days and need a balance of at least INR 20 in the card. Otherwise, the mobile connection will be deactivated and you will have 15 days to pay-up and retain your number. Speaking of video calls, unlike voice, which is absolutely free, they will be debited via your data-calling pack. The situation is the same with data used in the Reliance apps. Thus, even though they are free, they will still eat away at your megabytes. Also, they will only work on the Reliance Jio network. And speaking of data, what happens if you exhaust the provided pack? Well, on a pre-paid plan you will be paying INR 250 per GB with 10KB charge pulse – significantly less of a deal. Post-paid plans won't be charged extra, but speeds will be throttled to 128 Kbps. But, it's not all hidden fees and weird conditions. On the grand scheme of things, Reliance does seem to offer a good deal, you just have to be really careful as to exactly what you are getting into. Also, there are a few nice additional deals you can benefit from as well. For starters, there is free unlimited 4G data for the first three months. The "welcome offer" starts on September 5 and ends on January 1 2017. 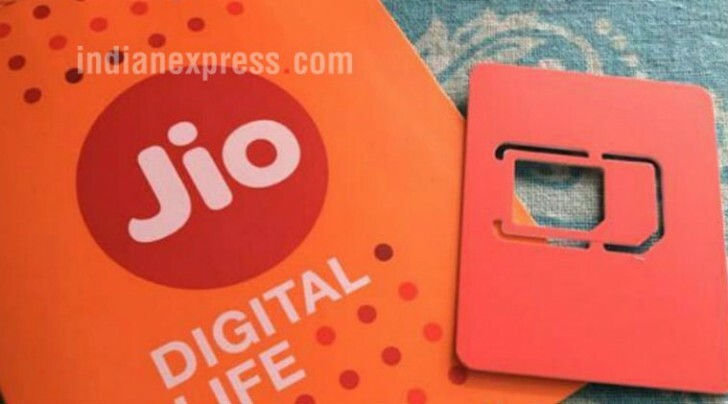 Reliance Jio is offering 15 per cent discount for postpaid users who opt for auto-debit option using credit/debit cards/online transfer for their bill. Students with valid ID also get 25 per cent additional 4G and WiFi data benefits. There is also the "Unlimited at Night" perk, for free data between 2am and 5am. Fix problem of voice call on kitkat based mobile which are LTE supported..